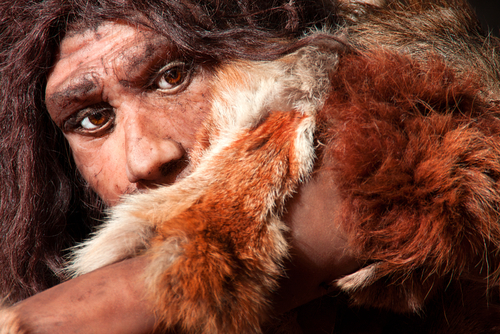 An increasing volume of archaeological research and effort has come to focus particularly on the genetic evolution and development of human beings since the last Ice Age. While the last glacial period ended about 10,000 years ago, promising, new research suggests that substantial evolution of the human species can now be evidenced even in peoples from as recently as 5,000 years ago — a relative blink of an eye in geological terms — thanks to cutting-edge analyses of skeletons unearthed on the European continent. The new findings are the result of a team of scientists from around the world from different academic disciplines, forming an interdisciplinary research team that has been able to uncover new insights into some of the most recent evolutionary changes to the human species. Anthropologists at Johannes Gutenberg University Mainz (JGU), geneticists at University College London (UCL), and archaeologists from Berlin and Kiev all collaborated in a study recently published in the Proceedings of the National Academy of Sciences revealing that ancient DNA from these European skeletons shows the impact of natural selection on the human genome as “recently” as the past 5,000 years, resulting in a rapid, dramatic change of appearance in people on a continent that is now dominated by a heterogenous mixture of different physical traits in an otherwise small geographical area. Laymen often ponder how human beings underwent such profound evolutionary changes throughout the course of our species’ development over the course of 2 million years or so, but seem to have remained relatively stable in our design since the rise of human civilization. For their part, geneticists’ techniques for mapping out the process of natural selection in humans has been palpably unreliable to this point, offering no definitive answers on when natural selection took place in the evolutionary process. With this new research project, however, the team sought to take a different approach from previous techniques by using computer simulations to compare genomic data culled from analyzing the DNA from archaeological skeletons to contemporary European DNA. The results were deductive: researchers were able to use this method to determine when and where natural selection played a role in human evolution in Europe by identifying places where genetic changes between ancient remains and modern European DNA could not be explained simply through the randomness of inheritance. Clearly, the shift from darker features to lighter ones, as evidenced in northern latitudes in Europe, would have been the result of natural selection spurred on by human migration northward through the continent, which began 50,000 years ago, according to Wilde. However, Dr. Wilde is less convinced of this explanation, noting that for her, the “. . . vitamin D explanation seems less convincing when it comes to hair and eye color,” which is not nearly as predicated on exposure to sunlight and Vitamin D. “Instead, it may be that lighter hair and eye color functioned as a signal indicating group affiliation, which in turn played a role in the selection of a partner,” a theory that is more akin to the process of natural selection evidenced in animal evolution, wherein plumage and other external features of animals play a major role in sexual selection. While multi-ethnic and multi-cultural social exchange is a commonality in today’s world, it is indeed a species of modernity: humans from 5,000 to 50,000 years ago may not have been nearly as globalized in their behaviors, and as a result, outward physical features played a key role in segregating groups across the European continent.